Vaccines have commonly been considered victims of their own success. Parents no longer see the disease outbreaks, so they lose sight of vaccines' importance. This has especially been a problem in recent years with much misinformation available about vaccine safety. 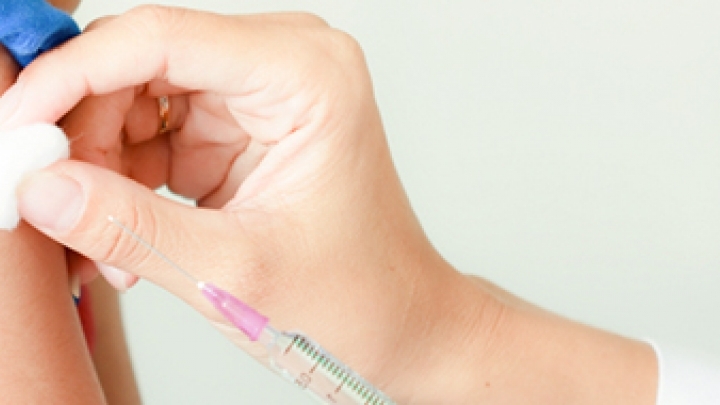 More parents are choosing not to vaccinate their children, which can affect everyone's health. Unfortunately, the medical industry and politicians are sometimes making it easier for parents to avoid vaccinating their children. There are three types of exemptions available to parents, depending on what states they live in. Taking advantage of these exemptions without a valid medical reason to can increase the chances of an outbreak. The Protection of "Herd Immunity"
Children who are unable to be vaccinated for a medical reason are usually still protected from getting vaccine-preventable diseases because of a concept call "herd immunity." When enough people in a particular population have been vaccinated, the chances that a disease can spread through the population decreases. No vaccine is 100 percent effective, so it's still possible for a very small number of vaccinated people to contract a disease. But if only a tiny number people in a large group are not vaccinated, then the disease might only infect a handful of people or, most likely, none at all because the person who has it might not ever encounter one of the others who is unvaccinated or who received the vaccine but is not fully protected. However, if there are too many people in a population who are not vaccinated, this increases the number of possible individuals the disease can infect. Herd immunity becomes eroded. The people who suffer the most in this situation are those who are unable to be vaccinated because of a known allergy to a vaccine ingredient or, more often, an auto-immune condition, such as being HIV positive or undergoing chemotherapy. These immune-compromised individuals are also at a higher risk for catching the disease in the first place and are more likely to have worse outcomes. Therefore, "herd immunity" helps ensure that all people in the community, including the ones not vaccinated, receive protection from a disease even if a small few are not immunized. When more families begin to get exemptions for vaccination, the entire community is at a higher risk for the disease, including those who are vaccinated. All 50 states have a medical exemption available for those children who cannot be vaccinated for a medical reason. Religious exemptions can be issued in 48 states for families who state that vaccinating their child is against their religion. West Virginia and Mississippi are the only two states that do not offer a religious or philosophic exemption. The philosophic exemptions, available in 19 states plus Missouri only for daycare and preschool, are offered to families who claim that vaccinating their children violates their personal belief system. It is these philosophic exemptions that often pose the greatest danger to vaccination rates, especially in the Western U.S. In one recent study in the American Journal of Public Health, led by Alison M. Buttenheim, PhD, MBA, from the School of Nursing and the Leonard David Institute of Health Economics at the University of Pennsylvania, found that personal belief exemptions are on the rise in California. The study used data from the California Department of Public Health on three groups of kindergartners for the 2008-2009, 2009-2010 and 2010-2011 school years. It involved over 7,000 schools and about 500,000 students. Each year, schools with kindergartens report their total enrollment and how many kindergarteners fall into each of the following categories: up to date on mandated vaccines, conditional acceptance, permanent medical exemption or a personal belief exemption for one or more mandated vaccines. Conditional acceptance means a child is not yet up to date on their immunizations but they plan to complete it soon. The researchers compared all the children falling in the first three categories with those who had a personal belief exemption. They found that the children with at least one personal belief exemption on file had increased 25 percent from 2008 to 2010. The authors acknowledged that using the number of children with personal belief exemptions was not the best measure since these children might have received some vaccines and not others. However, they wanted to find out an approximate number that represented how many intentionally unvaccinated children a vaccinated child would probably encounter at school. This number would help them determine whether children in the state in general are at a greater risk for being in a disease outbreak. Their calculations roughly represent the average rate of kindergartners per school who have personal belief exemptions. Often, these children are concentrated in certain schools, which decreases the overall vaccination rate at those schools and risks decreasing herd immunity. For this study, the researchers considered a school or a group of kindergartners as being "high" in personal belief exemptions if about 20 percent of them were exempted. They chose this number because measles requires a vaccination rate of about 87 to 98 percent to maintain a safe enough environment that it's unlikely to spread quickly through a population. If at least 20 percent of a school's students are intentionally unvaccinated, then everyone in the school is at a higher risk for an outbreak of a disease like measles. During each of the years studied, 159 to 187 schools had more than 20 percent of its kindergartners with at least one personal belief exemption on file. This included 5,322 students (159 schools) in 2008, 5,728 students (163 schools) in 2009 and 7,251 students (187) schools in 2010. The study reveals that it's possible children at these schools are at a greater risk for illness if there is a disease outbreak because of the low vaccination rates at the schools. In addition, a recent study by the U.S. Centers for Disease Control and Prevention of vaccination rates among kindergartners for the 2011-2012 school year found that rates in some areas were lower than what is considered safe for herd immunity. They looked at data reported from all 50 states, plus Washington, DC, and eight U.S. territories. Although the overall average vaccination rate for the measles-mumps-rubella vaccine was 94.8 percent, it was lowest in Colorado at 86.8 percent. Texas had the highest rate at 99.3 percent. Among the 33 states and territories that reported their varicella (chicken pox) vaccination rate, the average was 93.2 percent, and rates for DTaP (diphtheria-tetanus-pertussis), polio and hepatitis B were all above 95 percent. The CDC study found that 89,133 exemptions were reported among all the states and territories, for an average of 1.5 percent exemptions. Nine reported a more than 4 percent rate of exemptions in their state. Increases in philosophical exemptions are not the only problem that can affect herd immunity and put children at risk. In states where philosophic exemptions are unavailable and medical exemption rules are lax, some parents can obtain medical exemptions even if their child is not actually medically unable to be vaccinated. A recent study in The Journal of Infectious Diseases found that the highest rates for medical exemptions in the U.S. are, unsurprisingly, in the states where it's easiest to get one. The study, covering seven school years up through 2011, found that 0.26 percent to 0.41 percent of enrolled children had received medical exemptions total across the U.S., but some states had rates over 1 percent. It's unlikely that more than 1 percent of the kids in one state need an exemption when half that need it in another. The authors concluded that some parents may be obtaining medical exemptions improperly, especially if they live in a state without a philosophic exemption. "Judicious use of the medical exemption option helps ensure that individual children and the broader community can benefit from high immunization coverage," the authors of the study wrote. "It is known that immunization exemptors cluster geographically, increasing the possibility for local areas of increased disease incidence." They emphasized that medical exemptions should only be used when a medically necessary reason exists and not "just as a replacement for non-medical exemptions." "Vaccines are one of the great public health achievements of the last couple of centuries," said Dr. Buttenheim, who conducted the California study. "They protect us from diseases that used to routinely kill hundreds of thousands of children in the United States and still kill hundreds of thousands globally. It's not just important for a child to be vaccinated, it's important at a population level to have high rates of coverage." Buttenheim's team said that their study only offers a piece of the puzzle in trying to determine how many children might be at risk from a disease outbreak. It is difficult or impossible to estimate the risk of getting each of the vaccine-preventable diseases in a population because of all the factors involved with disease transmission. Besides the influence of a large group of unvaccinated children, disease spread is affected by a school's size, class size, the social interactions between vaccinated and unvaccinated children and the transmission rates of each disease. But personal belief exemptions and improperly issued medical exemptions can certainly increase the risks. In fact, Paul Offit, the Director of the Vaccine Education Center at the Children’s Hospital of Philadelphia and the inventor of one of the rotavirus vaccines, said the term for philosophic exemptions is misleading. "The term 'personal belief exemption' is misnamed, suggesting that it only affects one person," he said. "In fact, a choice not to get a vaccine affects everyone with whom the person comes in contact. In the end, we are going to have to decide whether it should be our inalienable right to catch and transmit a potentially fatal infection." Meanwhile, the recent increases in measles and pertussis outbreaks — which are higher than any other outbreak in the past 50 years — are gaining attention and making public health officials uneasy. Death have resulted from pertussis outbreaks in the U.S. and from the return of measles to Europe. The authors of the California study said the European outbreaks should serve as a "cautionary tale" for the U.S. about the dangers of having low vaccination rates. Before the measles vaccine, the disease killed 4,000 people a year, mostly children. "Measles is a clear example of a vaccine-preventable disease that can spread through clusters of unvaccinated children, even when population-level coverage seems adequate," they wrote. "In 2011 there were 215 identified measles cases in the U.S., the highest number since 1996." The authors said that parental choice about their children's health is important to maintain but that there's a need for better health promotion campaigns, vaccine counseling and exemption policies that will reduce the amount of misinformation out there and the amount of personal belief exemptions sought. The California study was published in the August issue of the American Journal of Public Health and funded by the Robert Wood Johnson Foundation Health & Society Scholars Program. American Journal of Public Health, "Exposure of California Kindergartners to Students With Personal Belief Exemptions From Mandated School Entry Vaccinations" University of Pennsylvania School of Nursing, "Intentionally Unvaccinated Students Putting Other Children at Risk" CDC, "Vaccination Coverage Among Children in Kindergarten — United States, 2011–12 School Year" The Journal of Infectious Diseases, "Medical Exemptions to School Immunization Requirements in the United States—Association of State Policies With Medical Exemption Rates (2004–2011)" National Conference of State Legislatures, "States with Religious and Philosophical Exemptions from School Immunization Requirements"